I recently discovered that one of the tiles in my house had cracked after somebody dropped something heavy on it and the tile started lifting. The problem was, how do I just replace the one tile without damaging any of the other tiles or having to re-tile the whole place? You need to further break the damaged tile with a hammer so you can get it out. 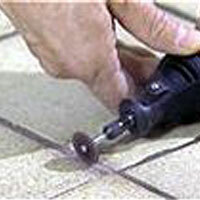 To prevent the hammering shockwaves from damaging the neighboring tiles, first isolate the tile by removing the grout that surrounds it with a grout saw, or use a rotary tool with safety goggles. Once the grout is out, lay a cloth over the tile and use a hammer to break the tile beneath into more manageable pieces. 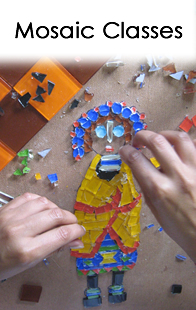 Remove the tile pieces, wear gloves if they're sharp. 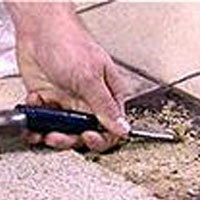 Use a wood chisel or some type of cold chisel to lift the old tile adhesive from the floor.  Be careful not to gouge the floor beneath the adhesive. Vacuum the debris from the chiseling. If the floor's not completely clean, the new tile won't adhere properly. Find a replacement tile, either buying or cutting a new one to fit, or relying on the extras you may have saved when the floor was first installed. "Butter" the back of the tile with tile adhesive using a putty knife. Then use a notched trowel to smooth the adhesive evenly across the back of the tile. 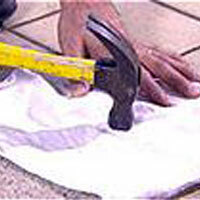 Place the tile and tap it down firmly with a hammer handle to make sure it's attached to the floor. Let it dry for 24 hours before applying grout. 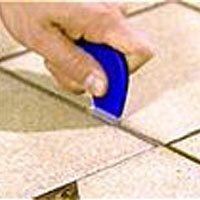 Use a grout float to press the grout around the edges of the tile. 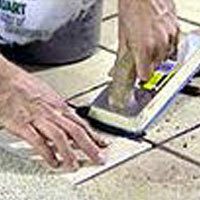 Use a sponge or towel to wipe the excess from the top of the tile.